“With the innovative all-electric propulsion design, Boeing is able to maximize payload while decreasing overall satellite mass and cost.”—Mark Spiwak, President, Boeing Satellite Systems International, Inc.
“This partnership is a fantastic new chapter in our space story. Teaming with OneWeb with a requirement to produce several small satellites each day ..."
A small business located in Fairborn, Ohio has developed the JSpOC Mission System (JMS) User Definable Operational Picture. "We handle completely different communication aspects here at Baltops, but those differences are what make us a well-rounded team. "—Senior Airman Brendan Kennedy, a 1st CBCS satellite communications technician. "Once delivered, this pathfinding, cyber-hardened ground system will significantly enhance the capabilities GPS brings to military, civil and commercial users worldwide. "—Dave Wajsgras, President, Intelligence, Information + Services, Raytheon. The feasibility study is expected to be completed by July. LeoSat expects to be ready to contract for its satellite constellation development within about a year, with the launch taking place in 2019 or 2020. “Inmarsat’s customers will now gain access to our NEWSlink news and Videotel training content, which are already used by more than 20,000 maritime vessels. "—Martin Kits van Heyningen, CEO, KVH. Since the start of the space age in the 1950s, there has been no confirmed report of an injury resulting from re-entering space objects. ... consists of strategic sourcing, asset management, capital expenditures, inventory management and procurement. Work is expected to be complete by Sept. 29, 2015. 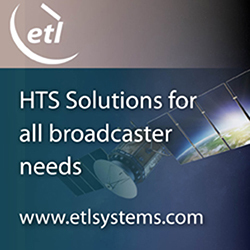 The headend can be expanded at any time, making it easy for HDT to add needed channels. A mentor once told him the more you talk, the less time you have in command, and Schiess said the clock is ticking. "Air travel is now an ubiquitous commodity." The three-day conference will identify new and emerging technologies to further enhance end-user capabilities. “The collaboration will enable our customers to use a technology rapidly growing in popularity due to its flexibility and productivity.”—Todd Steiner, Product Marketing Director, Geospatial Division, Trimble.